Google Incorporation has announced great features for businesses, attempting to bring the social network to the enterprise for Google+ .Google+ is attempting to build some character, according to a post on its official blog. Clay Bavor, Product Management Director of the Google Apps platforms, posted Wednesday morning that the social butterfly, er, network, is venturing in earnest into the space of collaborative enterprise solutions, currently filled by the likes of the recently-Microsoft-acquired Yammer. Google+ does seem to be sticking with its true colors, focusing on tailoring existing features in Google+ to be used effectively for an enterprise environment.Here is the full coverage of the Google Incorporation has announced B2B featured for Google+ to bring entrepreneurs. Bavor says that some of the features have been pilot-tested and will be “moving into a full preview mode” and rolling out to Google Apps customers throughout today. The existing features include the ability to restrict posts to those within the organization, hold a Hangout or group video meeting, from within Gmail, Calendar and Docs, and administrative features unique to an organization’s network. Hangouts have been one of the more innovative and unique features of Google+. 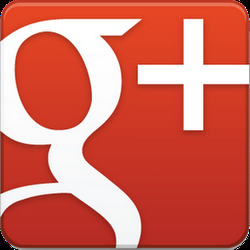 Google+ also pioneered the powerful, if time consuming and complicated, Circles feature, which allows users to restrict their sharing to particular groups. The administrative tools Google is releasing are surely a necessity for treading into the enterprise space, something the company talked about prioritizing in late 2011. The business features will be free until the end of 2013; no mention was made of what the cost may be when this preview period ends. During this time, users can expect to see additional features added to the service. Google Apps for Business customers currently pay a fee for the use of premium versions popular Google products such as Gmail, Calendar, and Talk — however, Google has shuttered the Google Apps for Teams element of its service. In a separate post on August 3, Google’s Director of Engineering, Max Ibel, announced that the company would be phasing out its Google Apps for Teams product, the goal of which was to allow organizations “to collaborate using non-email applications from Google like Google Docs, Google Calendar, and Google Talk.” The choice, obviously, is likely due to its new venture with Google+ for businesses. Just to be clear, Google Apps for Business will still be around. Google has perfected the art of shutting down products that most people have forgotten about, and this all appears to be well-timed: In June, a deal was struck for Microsoft to acquire Yammer, a startup focused on bringing social network and collaborative tools to the workplace. It would be a reasonable play for Microsoft to combine the collaboration features of the popular enterprise social network with its cloud-based productivity tools in Office 365. This would place the two titans of tech toe-to-toe in the battle for a share of the ever-increasing user demand for cloud-based solutions. The potential for impact with this product is serious, and could possibly disrupt web-conferencing, enterprise social networking, and cloud-based productivity markets. The main question is whether Google can overcome the scarlet G+ on its chest and its diminishing network effect to convince businesses that its services are powerful, widely adopted and here to stay. Honestly, a pivot from a social-only network to a niche business one doesn’t sound like a bad idea right now.